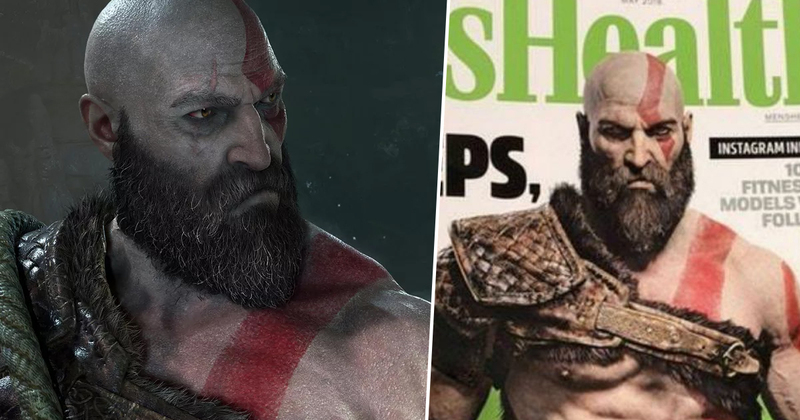 It can’t have escaped your attention that God of War’s Kratos is one ripped dude, and not someone whose drink you’d wanna knock over in a busy pub. With biceps the size of coconuts, rippling pecs, and a great big bushy beard you could get lost in for days, Kratos is the “ideal man” to many (provided you can overlook the whole “murdered-an-entire-pantheon-of-gods” thing). Frustratingly, the God of War games have never really detailed Kratos’ workout plan. Does he just wander around the woods tearing trees in half? Does he pummel mountains into a fine dust? Does he have a yoga class we don’t know about? It’s a genuine mystery. Thankfully, Men’s Health Singapore has released an issue that will allegedly finally lift the curtain on how exactly one can get the “ultimate dad bod”, as perfected by the Ghost of Sparta himself. Thanks to Reddit user niohdaily for spotting and sharing this gem. As it turns out, the issue in question actually released back in May 2018, but it’s worth bumping for those few of us who don’t keep up to date with the output of Men’s Health Singapore. Get yourself on Amazon and pick up the back issue sharpish. 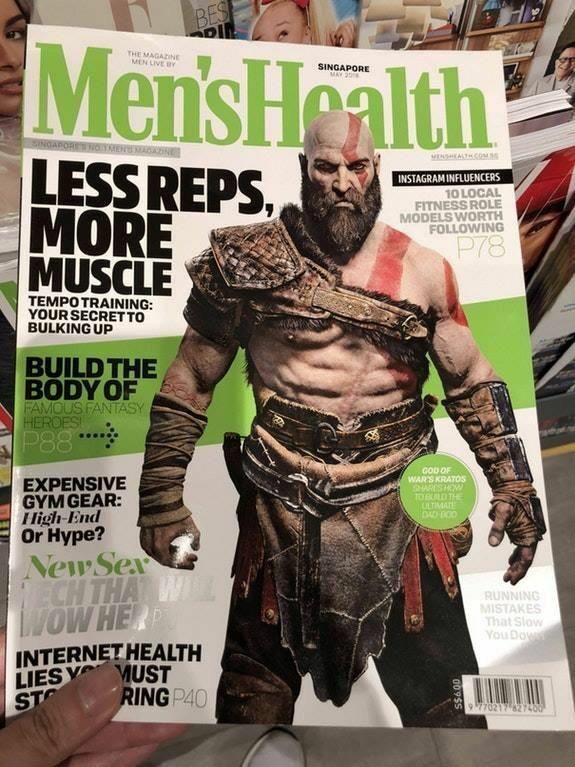 So why exactly did Men’s Health run with Kratos on their May 2018 cover? Unfortunately, it’s not a piece dedicated entirely to Kratos and his unique fitness and dietary regime, but is instead a feature on building a “fantasy hero” body. I don’t know what other fantasy characters appeared alongside Kratos in the pages of this hallowed publication, but the fact that they chose to actually run with the Ghost of Sparta on the cover tells me everything I need to know about the fine, fine folk at Men’s Health Singapore. While it’s always great to see gaming characters get some love outside of our own little bubble, what I’d really like to know is hen the hell the UK Men’s Health plans to step up and publish and issue with Nathan Drake on the cover.